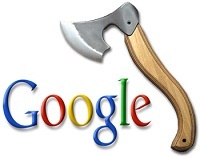 Whether you like the management style of Google’s boss Larry Page or not, on one thing we can all agree on- When it comes from chopping down less popular products, it doesn’t seems he flinch too much. Following this logic, the fourth axing products round has arrived. The first round of “spring cleaning” occurred on September 2011 just a few months after Larry Page took the lead as CEO. Two months after on November, the second round chopped a few more low demand products and the third round happened on January 2012. So now, three months after, Google has announced it is cutting off few more of its products, completing four rounds of “focusing” over the one year term of Larry Page. Some of the doomed products will be shut down completely while others (or part of them) will integrate into other products. APIs- There are many API changes as old and mostly unused APIs will be retired and some others will change. For the full information about it you can visit this page. Flu Vaccine Finder- This product basically became useless by itself and it will be passed to the team on HealthMap. Sync for BlackBerry App- It won’t be possible to download the app from June 1st. However, users that would install the app by then will still be able to use it. Google Talk Mobile Web App- The app is going away but Google suggests to use native app for Android. One Pass- This program was suppose to offer site owners alternative options to monetize their websites but now Google is killing it and recommends using the new Consumer Surveys program. Patent Search- Google are stating that are moving the Patent Search as a whole into the google.com engine, but when you try to visit patents.google.com you will be redirected to the search engine with some patent search feature. Picasa for Linux, Picasa Web Albums Uploader for Mac, Picasa Web Albums Plugin for iPhoto- They won’t be available for download anymore but users who already downloaded them would still be able to use them.